We’ve approached two big supermarkets to ask if they would donate their (legal) waste food for our pigs. The wonderful Pig Idea Campaign has been drawing attention to this utterly common-sense way of using food waste that is no longer suitable for human consumption.The alternative is chopping down forests for soy for animal food in South America which is not good for the environment. Pigs have eaten man’s waste food for millenia! the answer in both cases was a definite “no”, or at least “not in the foreseable future”. Sainsburys: will only deal with registered charities (as a matter of policy). 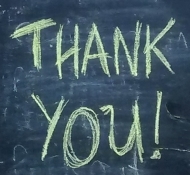 The lady I spoke to did understand that more and more community groups doing good stuff these days are not for profit social enterprises (like us), but that doesn’t change anything for now. Also, they believe that the animal health risks are too great to be worth the bother. We are asking for food that is legal for pigs, and there are procedures decreed by the powers that be to ensure animal health: essentially training staff, & simple segregation of food in marked bins. Surely that isn’t so tricky for an enormous company if they had the will to make it happen? 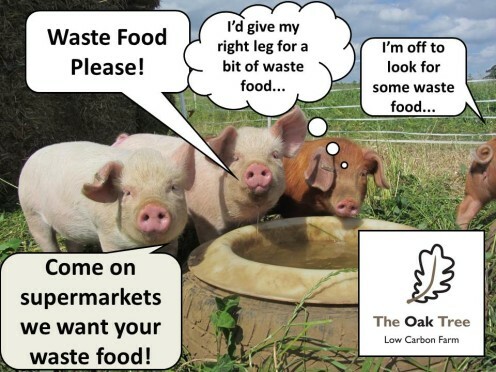 When I spoke to two local Sainsburys representatives they said that lots of their food waste is sent for anerobic digestion, but The Pig Idea explains that feeding waste food to pigs would save 20 times more carbon than anerobic digestion. I am genuinely disappointed at this lack of will to cooperate on the part of these two supermarkets. 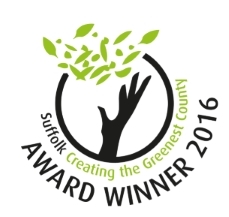 We are still open to working with them, or with any other supermarkets/smaller food outlets in the Ipswich area. Here are our contact details – if any local food producer is interested in supplying us with their food waste suitable for pigs please do contact us. We’ll collect from East Ipswich. This entry was posted in general news, local food, low carbon, pigs, policy, supermarkets, transition, waste food. Bookmark the permalink.